April 25, 2010 a group of 50 or 60 people gathered at the Willis Johns Recreation Center in St. Petersburg, FL as the Launch Team of City on a Hill Church to Possess the Land for Jesus. We anointed the door posts and prayed the prayer of faith in every room and dreamed of what God wanted to and could do if we kept our commitment to Him to be sure this church would be all about Jesus. I remember standing in that huge gymnasium and thinking this isn’t an gym anymore it is set apart and holy on Sundays. This is now our sanctuary a place for the lost, wandering, broken, hurting, helpless, and hopeless to find Jesus. I dreamed of what it would look like all set up and ready for church services. We were telling His story and making HIS-story. Fast forward and I do mean fast forward by God’s grace we find ourselves in a sovereign move of God. One year later, April 24, 2011, we stepped out in faith and held two Easter services and to the glory of God we saw 380 come together in two services for record breaking attendance. HIS-story was made again as we lifted up Jesus we saw people saved and we saw people recommit their lives to Jesus. 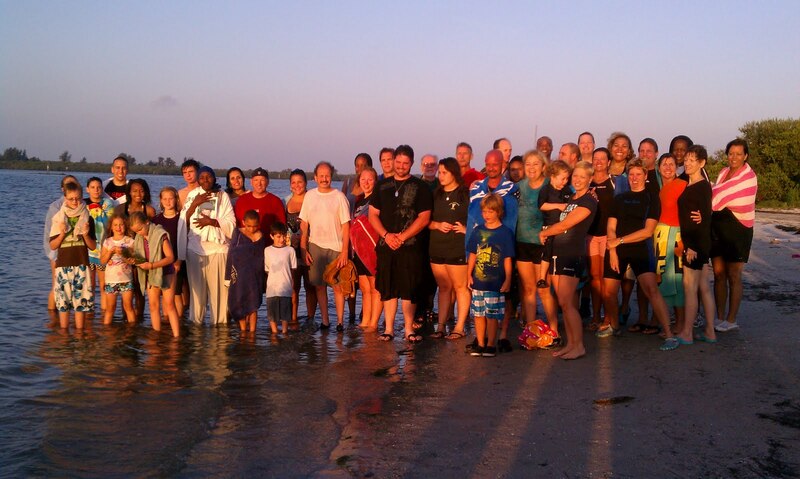 At our Easter sunrise baptism we had 33 follow the Lord in baptism. Praise the Lord! One person said, “One baptism for every year Jesus walked the earth how appropriate for Easter”. Another God wink. I sit here on Easter Sunday afternoon totally poured out but totally full. My first Easter as a Church Planter/Lead Pastor is HIS-story. It truly is His story and He, by His amazing grace, has invited me on this journey to tell His story in this city. All glory and honor goes to Jesus. It is all about Jesus, it has always been about Jesus, and it will always be about Jesus. We sang a worship song this morning that says, “I give my life away. So you can use me. Take my heart, take my life, as a living sacrifice. All my dreams all my plans Lord I place them in your hands. I give my life away.” When Lorena and I decided to plant City on a Hill we knew we would pay a high price. But we also understood that Jesus paid it all for us. As we sang that song this morning my mind raced back to the morning baptisms and all of the precious people we shared those scared moments with. I looked at all the people God has entrusted to me to shepherd and I thought, “Yeah this is worth it! 100% I’d do it all again for you Jesus no doubt.” I grabbed my wife’s hand kissed her forehead and with tears running down both our faces we knew this was the first of many Easters in HIS-story. We didn’t have to say a word we knew this church was meant to be. God called us to be and lead a City on a Hill.